WHAT ARE THE MAIN REASONS THAT MAKE OPTIMIZO DIFFERENT ? 1. TURN WHAT YOU DO WELL INTO REPEATABLE PROCESSES AND RESULTS. Optimizo extracts and transforms your hidden areas of genius and intuitive successes into processes that can be repeated and sustained in order to stimulate new and consistent growth for your entire organization. The end result adds to your company’s overall financial value. 2. Manage your front-end departments as rigorously as your Back-End. We understand and have the know-how to support sales, marketing and product development to work better together and create the same level of accountability typically only seen in Back-End operations. We recognize the importance of developing organizational structures and processes that make you even more competitive. 3. BENEFIT FROM STRATEGIES AND TOOLS THAT HAVE PROVEN THEIR WORTH. What’s more, these B2B tools and resources have been specifically adapted to the manufacturing, industrial and financial sectors. 4. STIMULATE SALES INTEGRATION AND GROWTH IN A COLLABORATIVE ENVIRONMENT. Our compact size provides the freedom to adapt Optimizo’s proprietary tools to your business needs and challenges. Together, we build a roadmap and implementation recommendations based on your appetite for change. What can you count on in a relationship with Optimizo ? 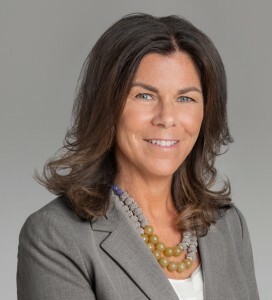 Anne Douville is an experienced well seasoned Senior Executive with over 30 years in numerous executive positions where she was responsible for corporate strategy, sales effectiveness and continuous improvement processes. In this capacity, Anne has implemented many organic growth initiatives with world-class companies such as Transcontinental, McDonald’s Restaurants of Canada and Videotron. 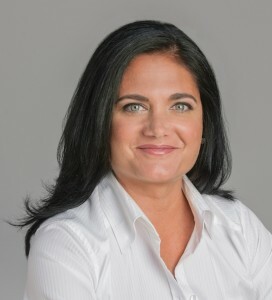 Her unique combination of hands-on expertise, consulting experience and coaching certification training, provide her with the holistic view necessary to serve as a sought after growth catalyst for high achieving leaders and organizations. 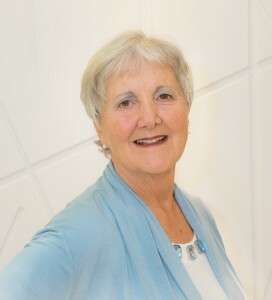 Anne graduated from McGill University in 1986 with a Bachelor of Commerce and obtained her executive coaching certification from the International Coach Training Institute. She is also a respected speaker who gives conferences to MBA students at HEC (Hautes Études Commerciales, the business school associated with Université de Montréal) and McGill University on the topic of “Identifying and monetizing their personal value”. She is a board member of DuSablon Foundation, participates in the McGill MBA mentor program, and takes on one pro bono coaching mandate per year for leaders of NFP organizations. Caroline is a senior, perfectly bilingual consultant and facilitator who joined Optimizo in 2011. She is a Commerce graduate from the University of British Columbia with a Master’s degree in marketing from the Université de Montréal where she graduated with Honors. Her main strengths lie in the development of concrete tools to generate process efficiency helping sales and marketing teams implement their strategy in areas such as customer segmentation, competitive DNA analysis, sales compensation and market research. Caroline has a passion for and an in-depth experience in B2B marketing. She has acquired a vast experience in a wide range of industries with a strong focus in the manufacturing arena, more specifically in the printing and packaging industries. Over the past 20 years, she has held various positions in marketing ranging from marketing analyst, project manager and marketing director. She has also built a solid expertise as an entrepreneur which has helped her relate to the various business challenges and realities that her Optimizo clients are facing. Caroline has a knack for finding golden nuggets hidden in customer data and then translates it into clear recommendations for her clients. She is also renowned for her facilitation skills, providing direction, creativity, flexibility, collaboration, and focus, ensuring clients co-create and move through the various steps leading to their growth and future success. Nicole has been part of Optimizo Solutions since it was founded in 2009 and is responsible for bookkeeping and all administrative support. Nicole’s career prior to Optimizo includes 30 years in various Executive Assistant roles for firms such as CGI, Fujitsu Consulting, DMR Consulting Group and Ultramar. She was recently appointed honorary member of the “Les Amies d’Affaires Association”. Optimizo has a network of professionals which are handpicked for each customer based on expertise required and best fit.